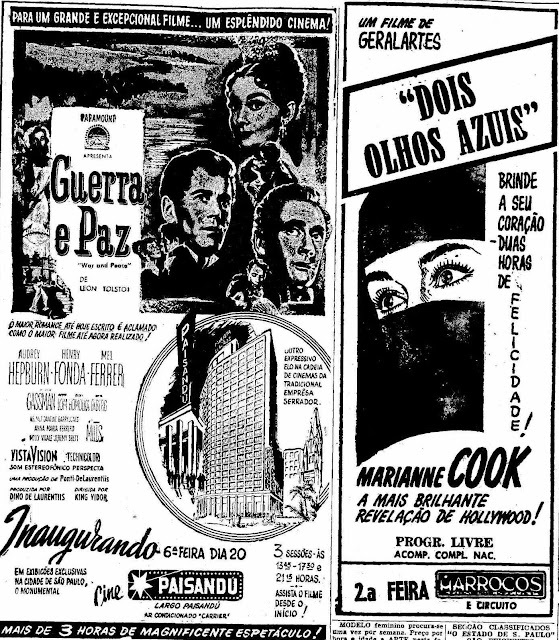 In the space of one single week the city of Sao Paulo saw 3 major movie houses inaugurated. 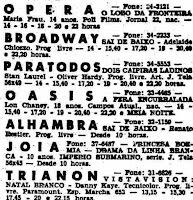 Cine Boulevard that was a totally refurbished Cine Paratodos that had its entrance on Rua Santa Efigenia now had its box-office on Rua Antonio de Godoy opened on Wednesday, 11 December 1957. 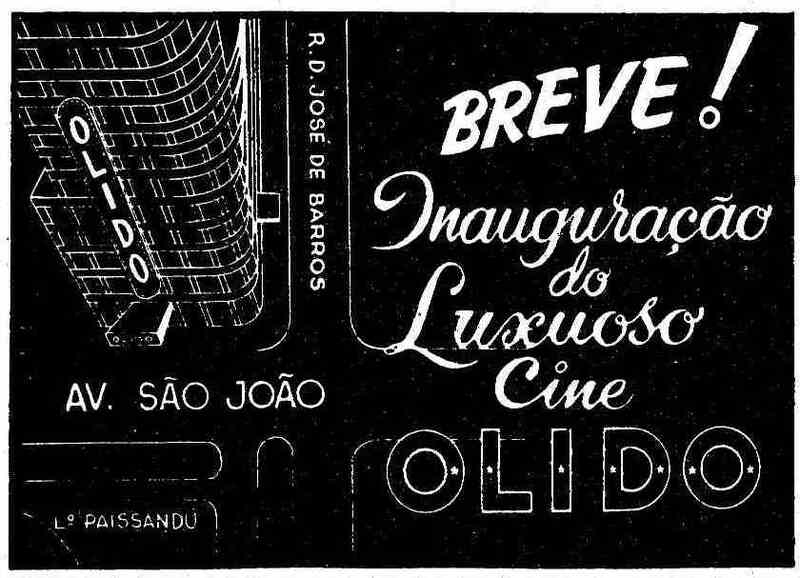 Three days later - on Friday, 13 December 1957, brand-new Cine Olido opened its luxurious facilities to the public... and finally on the next Friday, 20 December 1957, it was Cine Paisandu that opened its doors to the public. 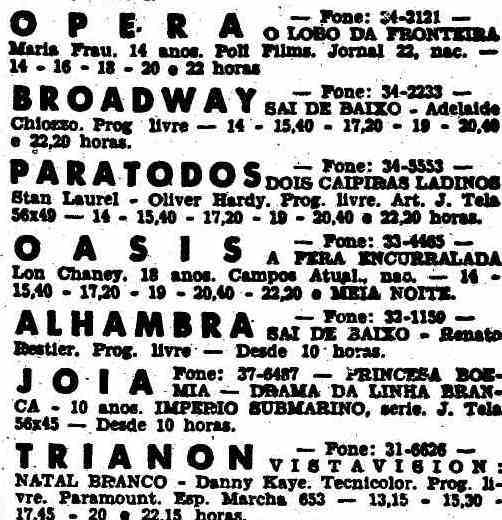 Mind you that all 3 cinemas were all around Largo do Paisandu. 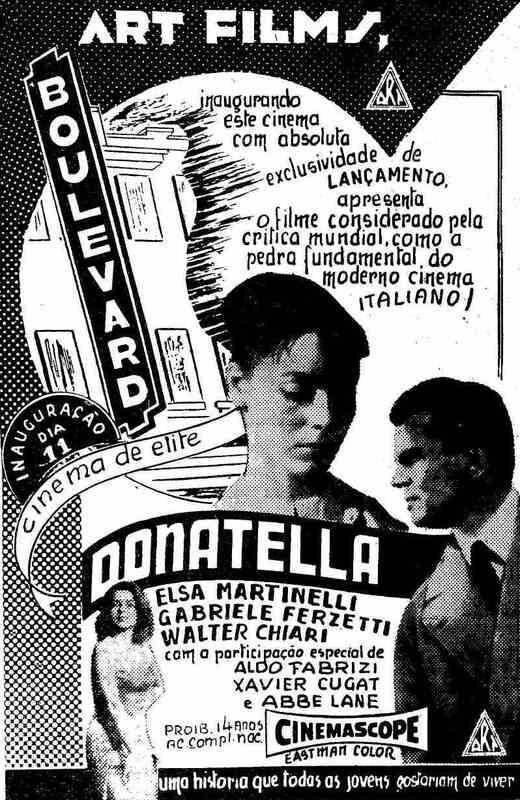 1st December 1957 - daily 'O Estado de S.Paulo' announces the opening of Cine Boulevard, a brand new cinema house in downtown São Paulo on Wednesday, 11 December 1957. 11 December 1957 - Wednesday - Cine Boulevard is inaugurated on Rua Antonio de Godoy, 83. Actually Cine Boulevard was the result of totally refurbishing Cine Paratodos that closed at the end of 1956. 16 December 1956 - by December 1956 Cine Paratodos, on Rua Santa Efigênia shut its doors to be completely refurbished. 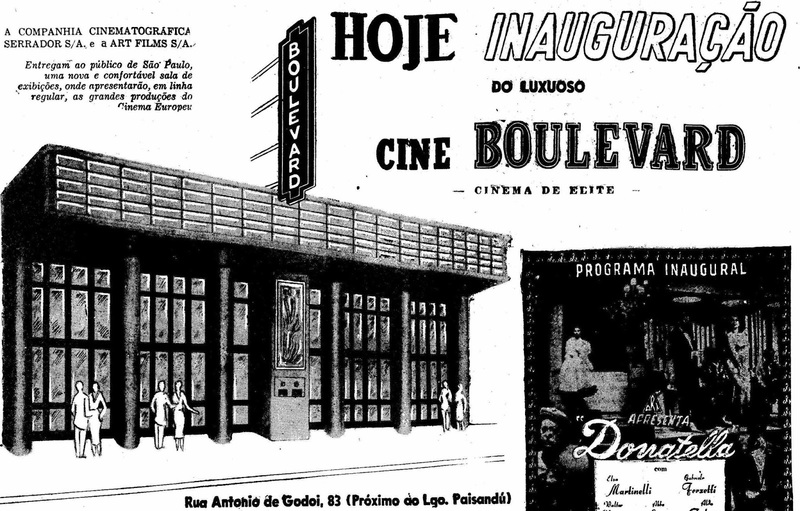 After one year it opened its doors again as Cine Boulevard having its entrance on Rua Antonio de Godoy. 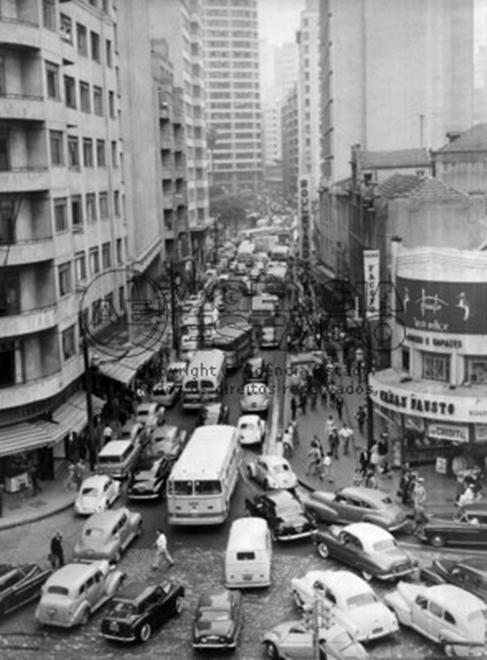 Rua Antonio de Godoy is a one-block street between Avenida Rio Branco & Rua Santa Efigenia. 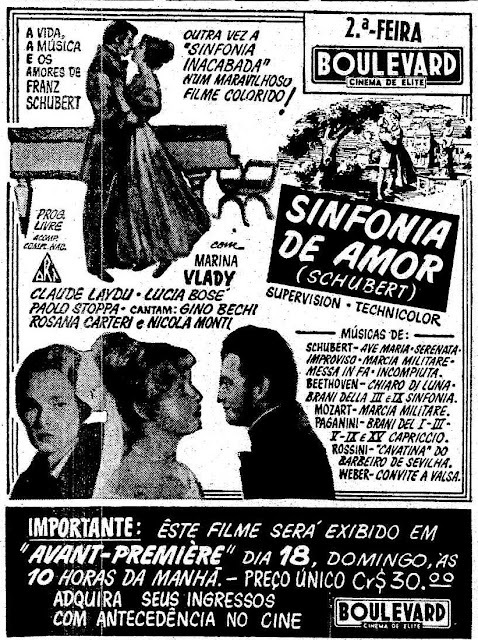 17 May 1958 - Cine Boulevard dubbed 'Cinema de Elite' showed only choice European productions like 'Sinfonia de amor' (Symphonie inachevée), a French-Italian co-production shot in 1954, released in 1956 with Claude Laydu and Lucia Bosé. It is a biopic portraying the life of composer Franz Schubert. 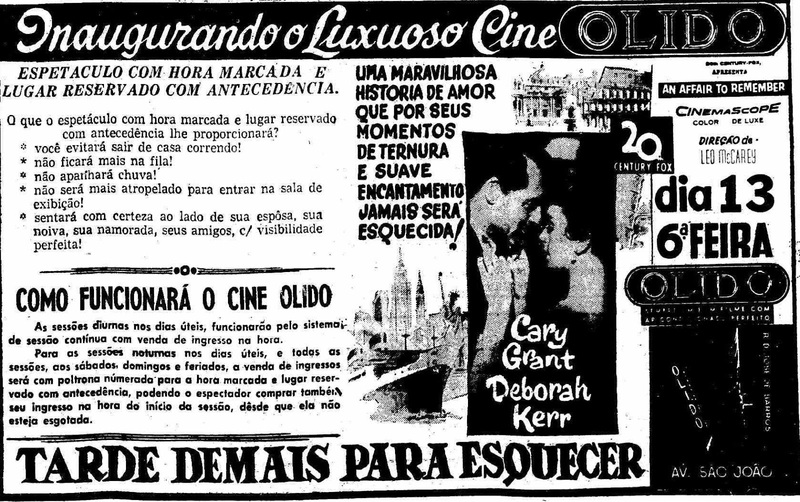 13 December 1957 - inauguration of Cine Olido on Avenida São João with 'An affair to remember' (Tarde demais para esquecer) with Cary Grant & Deborah Kerr. 20 December 1957 - inauguration of Cine Paisandú with 'War and peace'.